"This delicious, thick frosting is a perfect topping for snickerdoodles, gingersnaps, or even on a gingerbread house! It makes enough for 12 average size cookies." Place the confectioners' sugar in a bowl, and stir in the milk until smooth. Mix in the cinnamon, cloves, and ginger until thoroughly blended. Spread on cookies of your choice. Great, spicy icing. 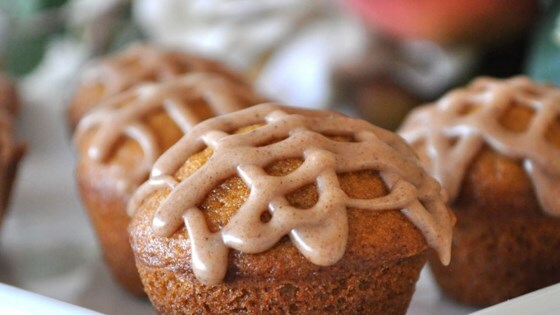 Used to drizzle over pumpkin gingerbread mini loaves. Looked beautiful.